Guide - Basic and Cosmo Guides! I plan to show you in this guide, how to increase your cosmo, in several steps. Most of you call it PL, I call it Cosmo, because that the real name of it. Now, shall we start? You guys need to increase your cloth levels. They are as important as your life, starting with your Main Cloth, all the way up to your new cloths which you get with the time. 2. Bronze Potions which give higher experience to the emblems than usual experience - Not recommended to be used all the time, unless the cloth is over 5 or 10 level. 3. Second type of Potions/Silver Potions - Those potions are strictly for Silver Cloths, I advise you to don't waste them on Bronze ones, because you will need them for your Silver Cloths. 1. Check Box - Make sure to check the box with the blood potions which you want. 2. Packs - How many packs you intend to buy, 1 or 2. Note: Packs contain 20 potions, each one of them. 3. Check Button - You click on this button to buy the item for the Green Coupons. Those potions are very useful, once your cloth gets at high levels, when to raise your cloth you need tons of NPC Money and tons of Emblems to upgrade your cloth just one level more. You will need those potions at these moments, because using any of those potions is quite useful, because they increase the experience gain from the emblems and you spend less money and emblems to upgrade your cloth. Most of the time, when people raise their level, they totally forget for their skills, which they use in battle, and they shouldn't because they give great cosmo as well. To open the skill menu, press button 'K', and raise every single skill which have Green Arrow on it, until it becomes grayish. When it becomes Grayish, means you've reached the maximum level of this skill for your level, or simply this skill can't be raised anymore. 2. Skills - Mine are grayish, because I've raised them to their maximum rank at my level, but! 3. Raising Button - If you don't have your skills raised like mine, to maximum. You can see on that spot the green button which you need to click on, to raise your skills. I advise you to start from the bottom skills to the top, or from the skills which you use more often and you think that they are powerful. Have in mind that all of the Main Skills, absorbs experience (the one with which you level up). So make sure you don't hurry to level up as soon as possible, but actually check out your Skills, which one of them need an upgrade for your level and then level up. Otherwise you will keep leveling up through the whole time and it will come moment in which you will stop and you would like to raise your skills, but the experience which you've gathered won't be enough, and you will be stuck at high level, but with low damage/CC/Tank skills, which are worthless in raids, dungeons and so on. And you will have to stick on the same level for quite some time. Note: There is skills, which are just rank 1, so don't panic! Passive Skills, another great tool to increase your PL with a huge chunk! 1. Passive Skills Tab - Click on this tab so the Passive Skills Menu to show up. 2. Moving Box - You can slide this box up and down as it shown with the 3rd mark, so you can scout through all the skills. Now the first 9 or so skills, they are all with player money, not NPC Money, but Player Money/Auction House Money... you know you have 2 type of available coins, the first one is to buy stuffs from NPC and Fix your gear/armor and cloth, and the second one is the one which you use to buy stuffs from other Players (Player Shops) or Auction House... you need the second type of money, with which you can buy stuffs from Players and Auction House. Now when you have enough player money, I suggest you to concentrate over the skill which is for your class, ask in legion chat if you are not sure which skill is for you! Those skills give HUGE amount of Power Level if they are raised high. 1. Level up button - Here you can see the level up button for skills, for which I've talked earlier. 3. Those are the 5 skills for which I spoke to you, you need to raise them at least to 20! When you are level 85... If you want you can level them up, once or twice, per level, when they become unlocked. If you have low power level, it's probably because of that. You don't have your gear enchanted/enhanced! You need to enhance your gear, whenever you can! Until it starts glowing with golden color: (Example), you see how it have this slight glow around it, your whole gear should be like that! To enchant your gear, you need to have few materials at first, you can find out which ones you need by going to the NPC and selecting “Enhance” (which is the first option). 1. Your menu with the gear which you wear and it's available for enhance. 2. Enhance Amount - You can see two series of numbers here 597/1100, this means that I've managed to raise the Enhance Points to 597, but I still have 503 more points to fill in, until I get the maximum bonus out of it. 3. Stats which buffs - The one which I've shown on the picture buffs your attack, but the others can buff your HP, your Defense or your Elemental Attack for that matter, even your Dodge! 4. Available spots for enhanced attributes - Those attributes play the role of a gems, something like that. Which can be leveled up, you need to level exactly those gems if you want to raise your gear - enhance level. You have certain spots available for each Gear Piece, and if it's lower level you get lower spots and if it's high level gear, like mine it gives you almost all of them. 5. Lock Spot - This lock spot can be unlocked as you level up, or you change the piece of gear which you are wearing, giving you more free spots for gems. 6. Material/Item which you need - It shows you the item which requires so you can start raising your gems level. Those materials drop left and right in dungeons. Literally all over the place. 7. Upgrade button - Once you've select 9 and 11, you click on this button so your piece can start upgrading. Note: the upgrade success is not 100% assure. 8. Blood Pots - You can buy them the same way as the other blood pots, and you can get them as well from dungeons, quests or roulette, pretty much like the rest of the pots. 9. How many of those pots you will spend - In other words, you pick the number of pots which you will use so you can get higher chance of upgrade. Note: It's recommended to spend 10 each time, because 10 give 95% chance of success. 10. You can buy Blood Pots with Green Stars from Cash Shop, by clicking on that button, pretty much like the previous pots. 11. Auto-Enchant - This means that if you pick up/checkup that option, and you start the blue button under number 7, it won't stop enchanting on its own, until you get a success. Note: You can turn off the auto-enchant by pressing again the blue button (or gray if it's in process). The enchant is really important, because it improves your stats as a whole. Your HP jumps high up, your defense, your normal/elemental attack and your dodge stats, as well. It gives of course a HUGE chunk of PL with each successful enchant. Yea you heard right, those mini child, walking through the whole time after some player. They are called GUARDIANS, and they increase your HP, your Defense, your Damage and your COSMO, by huge chunk. To get to the guardians, you need to use the menu on your screen, which can been found on the far right side on your monitor, right under your mini map, and next to your quest tracker. 1. Slide your mouse cursor over the first emblem (circled in red) of the side line without clicking with your mouse on it. 2. Move your mouse to the icon surrounded in the second red circle, and click on it with left button. 2. Other Guardians - Now note, even though on the picture is shown that all 5 of the guardians there, have in mind that those 5 spots, are empty and even locked until you unlock them. If you don't know how to unlock them, check the explanation after this one. 3. Guardian Skills - There plenty of these skills in Guild Warehouse Tab 2, but you can buy them too, with special item, check further explanation after that, for more info. 4. Guardian Cloth/Gear - Yea your heard right, these 3 spots are for Guardian Gear, unfortunately I don't have any, because I didn't craft, but I will explain you to you, in further explanation, how to craft it. 5. Guardian Stars - Or the way I like to call it Emblems for leveling up. Yes you can see the item which you need to get so you can raise your Guardian Potential, have in mind that this increase is random and pretty much can raise your guardian skills and the PL which it gives, but as well can decrease them, it's up to your luck! To buy stuffs from the Guardians Shop, you will need reputation first, to get that reputation you will have to complete one quest each day, pretty much like Daily Quest. 1. Kiki - This little guy, gives you quest each day, you must take it. The quest is easy to complete you need 10 of these . Yea you saw right, this is the same item which you use to enhance/upgrade your gear. It drops left and right in dungeons. Once you complete his quests, you get reputation, which you need so you can get more stuffs available in the shop. 2. Shop for Guardians - Yep, that twin on Kiki, is the guy with your stuffs for the guardian. 1. This is the list with the items available for you, you can buy any of them for your Guardians, as long as you have reputation. Mine are red because I don't have item number 3. 2. Guardian for level 59, you can buy this guardian at level 59 for 60 000 NPC Money and 50 of the special items (number 3) which you need. 3. Special Item which you need to buy stuffs from that shop. This item can be found left and right in dungeons, as well you can get 3 by completing each day the daily quest for reputation from Kiki. 4. Skill for Guardian - from this shop you can buy skills, like the ones which I show you on my Guardians. Have in mind that there is 4 tabs, in each one of these four tabs, there is something different, for example higher level Guardian, higher level skills and so on. 5. Page 1/2 - There is almost in every single tab Page 1 and 2, may be more, don't forget to check page 2 and 3, if you don't like something in page 1! Now the thing which I've surrounded with red circle, is an item which you get from cash shop for Green Star Coupons. However you need these only for your first ones, later on you will need them too, because some of the higher level gear wants several parts of a lower gear and this item, or Silver/Bronze Fragments! You need to scroll all the way down and the last tab is the one with this item. You might need NPC money as well for the craft and of the special items for buying stuff from the shop, so make sure you have them all in your inventory first, before you proceed. Now this is your usual menu, which will always show up whenever you click 'N'. This is the place where you can see your star attributes, what level they are, how many do you have unfilled, how many do you have unlocked and so on. 1. Experience Points for Star System - Yes there is entirely different experience for this system, which depends from what kind of stars you use, how much points do they give you, what level are your stars, what type and so on. 2. Blue Star Soul - Yes, this is a Star Soul, which you implant from somewhere else, I will show it in the next picture. This star soul have several tiers, Tier one is green, which is normal one, tier 2 is blue, which is stronger than normal, tier 3 is purple which is way more stronger than the first 2 tiers, tier 4 which have orange color, it's one of the best stars which you can get, and which you will need until 99 level. And tier 5, the legendary tier, it have yellow color, and it's only for level 100. 3. Red Star Soul - Have I forgot to mention that there is 3 types of Star Souls, Blue, Red and Yellow, they give different stats and they don't copy each other bonuses. 5. Empty and Unlocked Star Soul Spot - Yes, you will have lots of them when your level is low, have in mind that on the picture all of my available slots are fill, but if one slot is not fill you will see a blue line surrounding the spot, it won't be grayish like mine, because I don't have this spot unlocked yet (not enough level yet, to be unlocked). Star Slots unlock themselves as you level up, so don't worry you don't have to buy any special item. 6. Ultimate Passive Skills - Those passive skills will unlock as you progress and raise your Star System Experience, higher Experience, higher chance to get one of these unlocked. You can see that the final skill is not unlocked yet, because I don't have enough Star System Experience to unlock it. 7. Tab 2 button - This button leads you to tab 2, where you can create your Stars and where you can combine them, to get stronger and get higher level. That Second Tab, where Magic happens! 2. Empty Star Soul Stone spot - you have limited space of them. So if you want to upgrade a stone which you already have, you better take it off from tab 1, which I will show how to do it, after this explanation. 3. Green Book - this book creates your stone, you click on it and it creates them for you. 4. Legendary Book - Now this book has never appeared for me, by just clicking. However you can buy it from the Cash Shop, which I will show later on. 5. 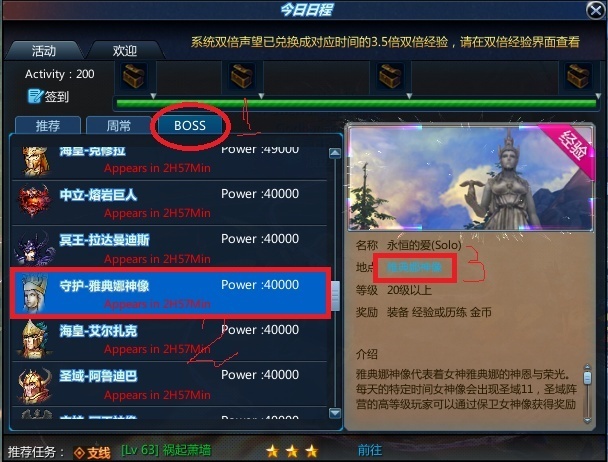 Potential Cosmo - These points which you see on the side of the Chinese Line, 150750, are points which you will need to use the book, so you can create a Star Soul Stone. Each used book use between 100-500 points of this Potential Cosmo. You can get that potential cosmo by doing dungeons and getting this item as drop: or pretty much the same like the previous one, but in light blue color. Have in mind that the second item, can be got only by World Bosses Chests, it's totally random and if you are lucky and get one, it gives 15 000 points potential cosmo. The Orange ones give 1000 potential cosmo. 6. Auto Creation - Yea you click that button and the system will start creating automatically Star Soul Stones, by using your Potential Cosmo and the books which unlock as you go. 7. Combine Button - Once your free spots feel with Star Soul Stones, you combine them in one of these stones so you can get it to higher level. And each stone give experience to the one in which you combine them and as this experience build the stone level raise. Note: If you have a Soul Stone which is higher level unload from your first tab, all of the stones which you've created will combine in this higher level stone, so be careful which stones you have unload and which you have placed at the new ones. 8. Lock button - if you click on that button, all the stones which you have in second tab, will end up locked, I don't recommend this option to anyone. 9. Buy a Legendary Book button - You will find explanation about how to buy Legendary Book, few points after this one, but you can buy one from this button too. I've decided that the combine system needs its own explanation because it's long and hard to explain. Once you click on the star which you desire to raise, this menu from above will show, showing other potential stars and the option to take it off which is circled in number 2. 3. Other potential Star Stones for that same type (spot/color) slot. Do you notice how the exp points raised up from 14 up to 29, you do the same thing over and over again until your star finally reaches 410/410 and its level will raise up from 5 to 6. You click 'J' to open the Cash Shop, then you scroll down to the tab in which you will find the book, and then you buy it. When you buy it, once your open your Star System by clicking 'N' again, and move to the second tab, you will see that the last box from all 5, have a number under it, saying '1', which means you can open this book, by using an item from your inventory (in this case the Legendary Book which you bought from the Cash Shop). Now this System is entirely new, and most of the players in guild do not get it. However I will explain it, the way I got it work, so I hope you may get it. To open the Constellation System you move to the menu to the far right side of your display, where your Character Menu is and you pick the option Constel (if you have English Patch it should say 'Constel'). 2. Auto-System - Clicks automatically on the planets. Don't worry it can be stopped by clicking on the same button. will mostly get from type 1, 2 and 3. 4. One of the stones from number 3 - It's type 1, and this type one can be combine in type 2, by combining 2 of type 1 and using Bronze Frags surrounded by circle number 5. 8. Constellation - By clicking on this button you move to Tab 2 of the Constellation System, we will get to it in a moment. Now I've already explained that you can combine, different type of stones in better ones, here is more detailed information about that. 1. Green Stone - This Green Stone is one of the available stones which you will need so you can build Constellations in Tab 2, but it won't be the only stone from which you will need, you will need all of the stones which were shown on the previous picture under number 3. 3. Materials - When you want to combine certain stones into another ones, you will need materials, specifically materials like Bronze, Silver or even Gold Fragments, so the combine can be archived, however have in mind that it's not 100% success. 4. Item which increase the success of the combine - as you can see there is a success rate, right under number 4 and 5, before number 6. It says 50%, but because I've surrounded specific things with red lines, you can't see it clearly, but it's there. If you use item number 4, this success increase with specific amount of percent, depending how many you will use and how hard of combination you do, because as you build your constellations, different type of stones will be needed, and with each higher level of constellation you will need much harder stone for combination. 5. Check box - If you are going to use item number 4, make sure you check the box surrounded by number 5 red rectangle. 6. How many combinations you would like to do - have in mind that each combination consumes 2 stones of the weaker ones, to create 1 of the stronger ones, so if you want to do 50 combinations you will need 100 stones from the weaker ones. Now when you get to that menu, here will be the spot where you will need those stones for which we spoke moments ago. 2. Unlocked Star - Now this is unlocked soul, its grayish and you can't do anything on it. To unlock this star, you need to unlock first the previous ones. Once you open the star before this one, then it will be the moment when you will be capable to open and this one. 3. Stones which you need - Hover with your mouse cursor, over the star, without clicking on it, and wait for it to show up the name of the stone which you need, once you have it, go back to the stones in number 3 and find the one which you need. If you don't have any of them, return to the previous tab, by clicking on number 5 button, and combine weaker stones until you manage to reach to the ones which you need, so you can combine the one which you need for that star. 4. Constellations - These are the constellations which are available for you, for me there is 56 available constellations, and I've done 9 of them, working on the 10. As some of you may notice, this is the constellation Crest, and we even have available cloth for it in the game. However I would like you to concentrate more over the small portion which I've surrounded in red rectangle. Those are passive skills, which give you bonus to different stats. Or at least I think so, because you can't take those two skills from there, so they has to be passive, but I might be wrong! Yea you heard right, even thought you can Enhance/Enchant your Equipment, you can as well upgrade certain items. 4. The option which you have to select so you can get your 80 level Orange Rosary. The first surrounded thing, is your rosary for level 80, it's final rosary which you can get and you have to upgrade it if you want it to get stronger. The second surrounded things, are the required items to create it. As you can see you will need NPC Money (2 million I think), Purple Rosary (which you buy from the same NPC, but through the first option, where the shop is), Silver Fragments which you get from any dungeon and these , yes you see correctly you need these for your items when you Enhance them. They drop left and right in any dungeon. Note: Please take look of the picture above, for the Purple Rosary, I've picked up the one with Thunder Attack, because my Class uses Thunder Attacks (I am Andromeda, at least most of the time), but your class might be different and each different class/constellation uses different Element, so make sure you buy the right rosary with the right element for your class. Now comes the fun part. I am sure you wonder 'All is good so far, but how to upgrade my gear, now?' Right? You open your character inventory, by default key 'b'. Now this is the menu which you need. This is the menu through all magic will happen. Including the one of creating materials which you will need to upgrade your items. 1. This is the window in which you break items. Once you break them you get different type of materials which you will need for your upgrades. 2. That the Upgrade Menu, but let's first explore the Break Menu. 1. The item which you intend to break (Make sure is weak one, and it have no use for you.) It's recommended to use at least purple gear, for better chances of getting materials than some craps like experience fruits. 2. Material Item - That is an material item which is possible to come out from the item which you will break out. I would like you to take extra attention on the note bellow which says 'Very Small', this means that the chance to get this item is 'Very Small', just like the item across this one, which I didn't put any number on it. 3. Another Item which is possible to come out from your break. It's simple Experience Fruit, and as you can say it says 'Very Lar-" which means the chance for this item to come out is 'Very Large' don't mind the cut part, after all this is not original text. 4. Material Item - This is another Material Item which you will need quite often and as you can see the chance for it is 'Extra Large' this means that 95% of the time you will get this item. 6. Energy Potions - Now this potions are important (not so much important, but still, it's good to have around 10 or so from each one of them in yourself, especially when you break items.) Once your item is broken, an Energy will be taken from your hero. Energy which obviously is not see-able anywhere (or at least I haven't figured out where yet), so once you finish with breaking your items (all of them, or the ones which you've decided to break) and you get your material items, use one of these potions. Now as far as I know the Orange Bottle(I have 12 of them) one is used when you've broke a lot of items, like 10+, or more, because it restores large amount of energy. The green flask one is used when you've broke between 5 and 10 items, because it restores regular normal amount, and the little orange flask one is used when you've broke between 0 and 5 items, yea for some reason sometimes even if you haven't broke any, or before you start breaking/destroying items make sure you use this flask to fill in any missing energy. Now the fun part, Upgrading your gear! 1. The item which you will Upgrade and can be upgraded - Items which have a shining color around them in your inventory, once you are on that menu, can be upgraded. 2. Materials Which you will need - You can get these materials from the first tab, by breaking items or if your Upgraded items are too high level, you will need to craft/create them, but I will explain about that in a bit. 4. NPC Money - Except materials, the upgrade method requires NPC Money too, in my case is 9 999 000, yea you see that right 9 million... almost 10 million, but that because my item is Upgraded on high level (well not too high, but still...) on low levels those upgrades cost a lot more less. 5. Upgrade button - Once you have all materials which are required (check the numbers at the left bottom corner of each material on this same menu surrounded in two) and you have enough NPC Money, you click on that button and the upgrade becomes. Please don't pay attention on the success rate, it's always Successful so far I've never had unsuccessful upgrade. This was like heaven to me, I was like "Yes! I am back in the game!" 2. Those are the materials which are requested so you can craft the high level materials. You have few different materials, for which I will give some information, how to get them pretty much. 1. - This item is pretty much your main one, which you need for every single upgrade (well almost every single) it can be get both ways. By crafting it in the same menu where the rest of the materials are find (shown on picture two) or you can get it as a drop in a dungeon called 0/5 (There is 4 variants of that dungeon 2 for level 80 and 2 for level 90, you need Poseidon Reputation (which can be get through an item or by doing 0/10 (another dungeon) or also called Poseidon Part 1 and 2), so you can get in these dungeons, ask in legion for more information). 3. - This item drops in dungeons as well, quite often. 4. - Enhance item, it drops left and right, but can be used for crafting high level materials. 5. - No need to explain it, I already explained this one several times it's material for Enhance, but you can use it to craft high level materials for rosary as well. 6. - This item was explained as well, Enhance item, but can be used to craft high level material for rosary too. 7. - This item can be get from any dungeon, drops left and right. 8. - This item can be get from 0/5 as well, or craft it from the same menu (roll all the way down to see it like in picture 2). Hope I've helped you, with this guide, I know it's very long T-T, it took me 2 days to write it down. I hope I haven't spent them for nothing. This Guide is detailed at how to get higher Cosmo, giving information as well and for other stuffs along the line. Have fun! And we will see in game! Re: Guide - Basic and Cosmo Guides! Nice guide for new players +1! Thanks for your giude ! It's perfect ! Thank guys, I just hope this will help a lot for the new players. The figure you keep track of that gives you wings is power level not cosmo. The N window is literally titled little cosmos. 9. Sell button - If you don't want to combine your soul stones and you need money, if you click on this button all available stones will be sold out for money, also not recommended, unless you have your Soul Stones at very high level, and you are not capable of raising them anymore. You don't have to do damage on the boss. You just have to be there when it spawns and keep your distance from the spot on which the battle goes on. Have in mind that the bosses spawn all at the same time at their proper spots and in certain times like 21:30 or 12:30, you have to be there through the whole battle, but you shouldn't be right in the heart of the battle, just move to the side where you are far away from the boss and the parties which is attacking it. Then wait for them to kill it. Every time when the boss dies, hundreds of chests drop all over the place, open them and you get items which give you player money. Of course you have to be fast, and to get as much chests as you can, before someone else does, because as I mentioned it's a race when it comes to that. Plus have in mind that you won't be capable to withstand at the boss attacks as well, so make sure you are not in his area of attacks, or you will die 200% for sure. Especially if you are low level. There is specific way to fight bosses, and its done with guild mates in group, but only the strongest ones goes to do it. May be, because someone else got to it before you. That why I said, it's a race. Same, I couldn't pick up any. But I see people from the same legion being able to loot Hades and Athena statue boxes. Not sure how the statue thing works. Is your legion alligned with Athena? I saw the same legion loot from Hades and Athena. So it can't be that you can only to loot from the faction you are alligned with. If you can only loot from the factions you are not alligned with. Then that would make sense with what I saw. But that would mean they are alligned with Poseidon, which doesn't seem likely. UPGRADED! NEW STEP 'STEP 7' ADDED! @p98s wrote: Is your legion alligned with Athena? Yep they are, we have affection with Sanctuary and we get Athena Statue. So i can change my dog for other pet ? @lexa000 wrote: So i can change my dog for other pet ? ok thanks bro , so 2 more question , how i change my normal cloth for hades cloth? and how i can take 1 new egg? @lexa000 wrote: ok thanks bro , so 2 more question , how i change my normal cloth for hades cloth? and how i can take 1 new egg? One question, mabe it's me but I miss a point in this thing. I enhanced all slots available on my equip. Every 2-3 lvl i go to enhancer and sometimes i'm able to fill some point on a slot. But to be honest I do it hoping that it works because sometimes it doesn't work. So, my question is: how I know if i'm able to fill some point on a slot?